To customers perusing the notice-board in the village post office, the job advertisement must have seemed too good to be true. 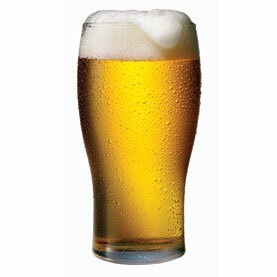 For £7 an hour, with all expenses paid, a man was required to visit a local pub and drink beer. The assignment was to be carried out at at least twice a week at the Compass Inn in Winsor, Hampshire, in the company of an elderly gentleman. The advert is genuine, and the four men who have applied for the position so far are to undergo trial drinking sessions in the coming week, though their potential employer is open to applications from new candidates. It is an appeal from a desperate man. 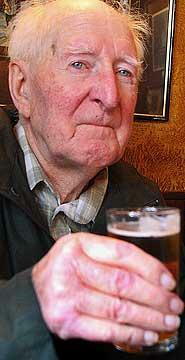 Until recently, Jack Hammond, 88, would drink four times a week with a neighbour in Barton-on-Sea. Then he moved into a nursing home a few miles away to be closer to his family. Forest Edge Care Home boasts a garden and easy access to shops; what it cannot offer Mr Hammond is a suitable drinking partner. All but one of his fellow residents are women. Which is how the advertisement came to be placed in the nearby village of Cadnam. For some it is a sign of the times that an elderly gentleman lacks a companion with whom to visit the local pub, although it is increasingly common. Mr Hammond’s wife died 12 years ago, and the upheaval of moving into a care home has left him feeling isolated. “It was a bit upsetting when I had to leave as I left all my friends back home,” he said. Desperate times have called for desperate measures. Mr Hammond’s son, a chef from Brockenhurst, contacted a number of agencies, seeking a volunteer. When none was forthcoming social services suggested that he advertise a paid position. Mr Hammond said: “It’s a bit difficult at this age to go out to a pub on your own. I don’t want to be a nuisance.” He is hoping for a gentleman who is “not too bombastic and enjoys a nice pint”. Possible topics of conversation include the Second World War, during which Mr Hammond served as a radar engineer in Bombay and Kuala Lumpur, and the day-to-day trials of running a power station. In his career as an electrical engineer Mr Hammond worked his way up to shift charge engineer at a station near Preston. His favourite topic is golf – in his prime Mr Hammond played off a handicap of six – as well as the fortunes of Preston North End Football Club, but he is a versatile conversationalist. When he placed the advert in the post office, Mr Hammond’s son considered it “a very attractive proposition”. “It’s got to be the best job in the world,” he said. Of the four applicants who have applied so far, he has been impressed by a sprightly gentleman of 78 who still drives. “We don’t want a teenager taking him out and the two of them having nothing in common,” he said. Next articleAre Women Like Beer? I’d consider applying, do they offer overtime?